This companion volume to the best-selling Jesus Christ and the World of the New Testament is a helpful guide to Old Testament culture, language, history, and teachings. 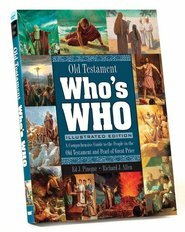 Richly illustrated with hundreds of images and photographs, including original artwork by Balage Balogh, artifacts, inscriptions, timelines, and accurate maps of the area, Jehovah and the World of the Old Testament presents and in-depth look at life in the ancient world and provides much-needed context for the biblical test. 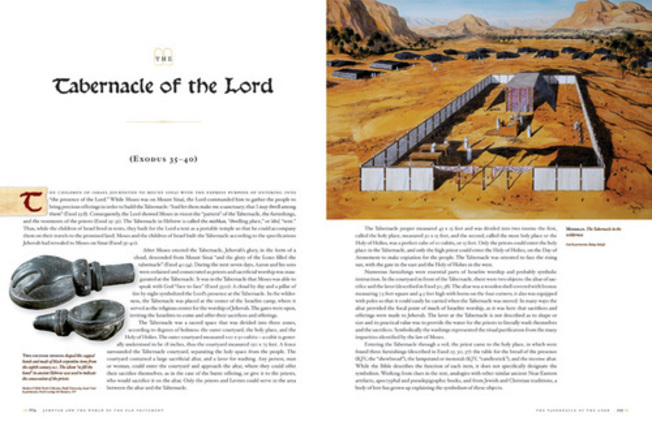 These illustrations bring ancient Israel to life, and with many informative historical explanations, cultural clarifications, and thoughtful insights, they will help readers come to value and understand the Old Testament as never before. 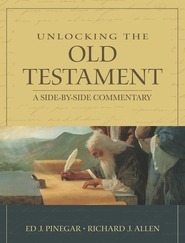 More than 400 topics provide important background for Old Testament times, from representations of key personalities such as Enoch and Aaron to detailed explanations of specific issues to legends that have persisted to our day, such as what happened to the ark of the covenant or the location of Mount Sinai. As you explore the pages of this valuable and unique resource, your study of the Old Testament will be enriched, your understanding broadened, and your love of the great Jehovah expanded. David R. Seely holds a PhD in ancient and biblical studies. He has taught and published on topics ranging from the temple of Solomon to the historical context of the Old Testament. He coauthored the book Jehovah and the World of the Old Testament. I LOVE READING THIS; IT IS VERY INFORMATIVE. My slight disappointments are these: (1) JEHOVAH is given passing mention, and (2) nothing at all about how He tries to warn and save the nations (Nephi teaches his brothers that the Cannanites had and rejected good warning before their destruction by Joshua. ) The OT announces many “woes” and “burdens”, but does it recount how to warn them all, like Jonah did Ninevah?) How else did Jehovah interact with this world? As Gospel Doctrine instructor in 2014, I went through a lot of Old Testament commentaries and other guides. This was the one I came back to again and again. It's the best overview, concisely written in understandable language (i.e., not too scholarly). My past experience with "illustrated" books is that the text is hastily written as filler between photos -- not so in this case. The content is great and I learned a lot. The price makes me wince, but that's how Deseret Book operates. This one is actually worth it. I really love this book. The information and the visuals and powerful and illuminating. The thing that challenges my enjoyment of this wonderful resource are the sections printed on the parchment background. The mottled background blends with the printing in areas making it very difficult to read. I wish they had made a different choice on those sections. I own a lot of LDS and non-LDS commentaries on the Old Testament, but this one is a unique achievement, combining the best of the two. It puts together in an accessible format the latest scholarship on the Old Testament world, allowing the reader to see our ancient heroes in context of their unique location and time. It does this from a faith-based perspective and with Restoration insight, something we can't always find in most scholarly works. The authors aren't afraid of bringing up some of the Old Testament's trickier issues, even if it's just to point out that something is not as simple as we've grown up thinking it was. This book is also a wonderful visual feast, with full-color pictures, maps, and charts splashed across almost every page. Even if one were to simply go through the book looking at the pictures alone it would be an enriching experience. For anyone who really wants to sit down and pay the price to figure out what the Old Testament's all about, this book is an invaluable aid. I just received this book yesterday and was pleasantly surprised by how beautiful it is! I also didn't realize it would be so big. I have skimmed through it and am so excited to study it more. Love the photos and extra information. I highly recommend this book. I have been waiting for some time for the arrival of this book. Finally we have an LDS book on the Old Testament that puts the Biblical text into a historical milieu. I love it. The pictures are fantastic. Highly recommended.